The United States have become the divided states: Red vs. Blue. This narrative usually comes about during national elections, as a color symbol for the Democrats vs. the Republicans. Unfortunately, with a so-called 2-party system (there are actually many more parties), dualism, or an ‘us versus them’ mentality naturally arises. We often hear of having to choose between the lesser of two evils for our presidential and other candidates. The founding of America was based on the unity of different regional states. While each state has their own autonomy in most matters, which could be distinctly different from one another, there is also a binding force in the limited federal government that keeps everyone together as a nation that is stronger than the parts. 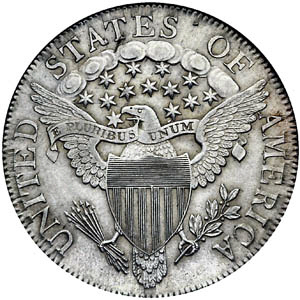 The motto: e pluribus unum (one from many) speaks to this arrangement. 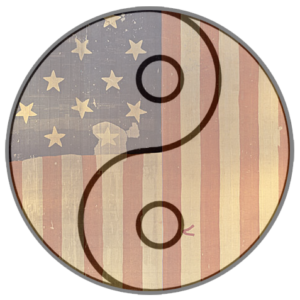 This is also the central philosophy behind the yin-yang symbol of Taoism. In it, the dualism is an illusion, marked by the black and white halves, and unity is the underlying reality. Even the black part has a white dot, and the white, a black dot. But, many times in our history, we have fallen away from that unity and have become divided: North vs. South, Rich vs. Poor, Black vs. White, Women vs. Men, and so on. And now there seems to be some real conflict between those who elected the current President and those who wanted someone else in office. These two factions seem to dislike each other and have been slinging insults at each other for months now. I disagree with both sides, as taking sides is part of the problem to begin with. In sports, yes, there is fierce competition, loyalty for one team and hatred for another, and in the end, there can only be one champion. But these rivals all love the sport. They know the game cannot be played without an opponent so they need each other. They understand each other. Each side just want’s their group to win. Fine. But in the current political climate, there is a genuine lack of understanding between the ‘reds’ and the ‘blues’. Sure, they support the candidate who best represents their interests, but they really don’t understand one another. Each ‘side’ can be right according to their own beliefs, and with a greater understanding of the others’ point of view, a consensus could arise. A truly representative government should accurately represent everyone, taking all perspectives into account. No two sides can be mutually exclusive. We have to mutually inclusive. We don’t have to agree with each other on particular issues, but we do have to listen to one another. We have to see these two ‘opposites’ as illusions, and part of an interconnected whole, much like the two sides of a coin. You can’t have one side of the coin being right and the other one being wrong, in fact, you can’t have one without the other: there’s no such thing as a one-sided coin. Often it is our differences, not our similarities, that provide our greatest strength. As with religion, sexual orientation, or any other point of view, there can be unity in diversity. Each can bring something to the table that the other cannot, and that makes for a bigger, more inclusive meal that can feed everyone. That said, there are a lot of literally hungry people, millions of undernourished children living in poverty right here and now, here, in the richest country in the world. Maybe we could all agree on fixing that, and put aside whatever petty differences the reds and the blues are so bitter about. In the end, there are no reds and blues, we are all red, white and blue, Americans all, united for a greater purpose. Let’s try to remember that. Has Science become the New ‘God’?